We are evangelical Baptists who hold to keeping the seventh day Sabbath of the Bible as sacred time. Our local church began when a group of Seventh Day Baptists living in the Columbus area officially formed a church in December 1975. 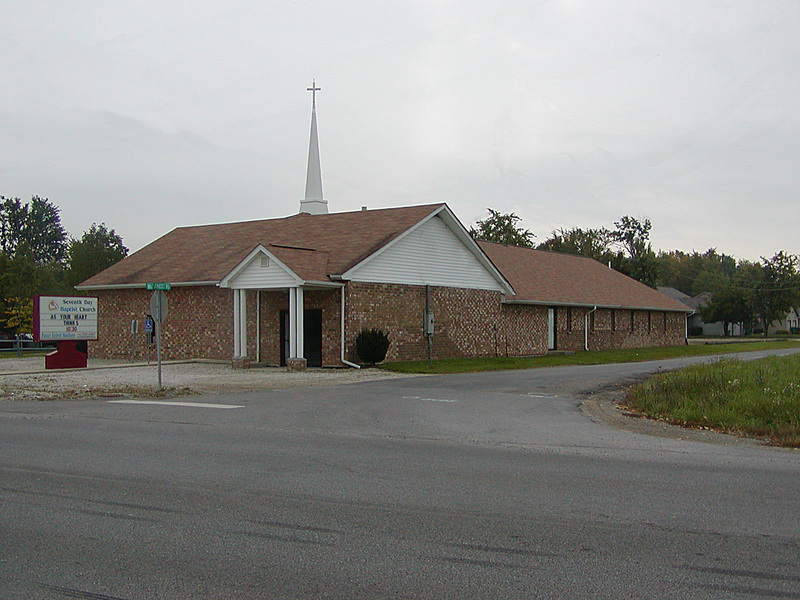 The church moved to their current location at 12161 Broad Street in September 2004. We are a member of the Seventh Day Baptist denomination headquartered in Janesville, Wisconsin. All are welcome to join us for weekly services on Saturdays starting at 10:00 am with Sabbath School (Bible Study) for all ages followed by Worship at 11:00 am. We also have a Wednesday night Bible Study starting at 6:30 pm. On the first Sabbath of each month, we have a potluck Fellowship Meal following the worship service. Rev. Robert L. Van Horn has been the pastor of our church for the past 27 years. You can get to know more about Pastor Robert here or listen to one of his sermons here. As you explore further on our website, you can find our Statement of Beliefs and our Church Covenant. You can even see what kind of special events we have in addition to our weekly Sabbath School, Worship, and Bible Study.